I loved Heroes For Sale. It made me go pick up Mineo’s Formerly Known mixtape. I was a fan. Never Land is a bit of a mixed bag for me. The title track opens the record and it’s my favorite song on the ep. Never Land isn’t a hype song, so it’s a refreshing change from Heroes For Sale. It’s an introspective track, with a strong hook from Marz. But on the flip side, Paisano’s Wylin’ does nothing for me. It’s slightly annoying and doesn’t feel like there’s much substance to the track. You Can’t Stop Me is a hype track and I enjoy it. At times it feels like Mineo has thrown in a couple “huhs” to copy what Kanye’s doing, but it doesn’t really bug. It just sounds a little weird. The beat isn’t my favorite that Mineo’s ever used but the song is enjoyable. Rewind is a great song about going for your dreams and sticking with them, even when the going gets tough. 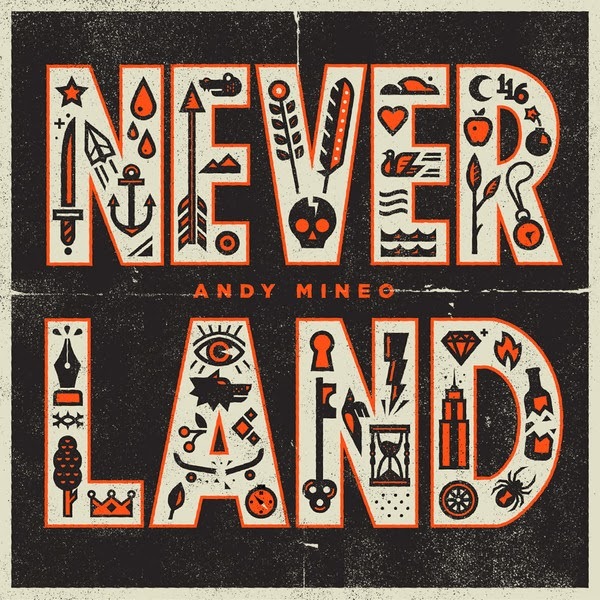 Never Land isn’t my favorite release but Mineo, but it shows the dudes work ethic. Plus, it’s a nice treat for the fans who just couldn’t get enough after Heroes For Sale.